Today again I am sharing Nadia Sohail recipe on my blog. She is a great cook and she is doing a great job by sharing all her tasty recipes with us. It can be served with rice. This dish is very light and full of flavors. 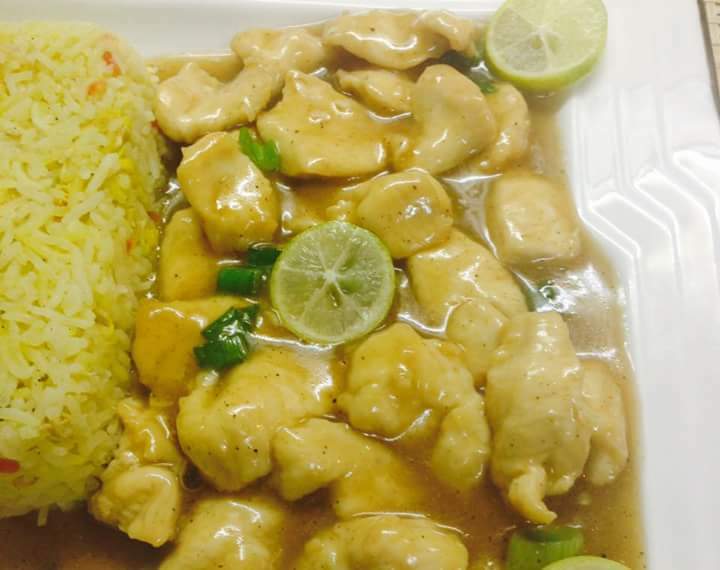 Here are the lemon chicken recipe and it has a taste you will never forget. Cut chicken into cubes or strips . Beat egg white until frothy. Add chicken pieces & mix well, sprinkle 3 tsp cornflour and lemon rind and fry chicken in less oil until cooked but not brown. In a separate bowl mix lemon juice, vinegar , sugar , soya sauce, and remanning corn flour . Heat 1 tbs oil in a wok and add green chillies and mushrooms , stir-fry for 2 minutes and remove from pan . Heat your sauces with broth when sauce thickens add chicken and mushrooms and stir well and serve hot in hot plate or normal dish. Adjust ur spices according to you. Serve with fried rice or plain rice. Is this considered a chinese dish?